Every individual going through a divorce has unique goals and ideas of what is fair, but most divorces have a common objective: to allow both parties to quickly and permanently move on from the frustration of a failed marriage. It can be tempting to rush through the divorce proceedings in the interest of a quick resolution, but if one party feels later that the process was unfair or lacking, it can lead to a host of legal issues that continue to burden both individuals for years after the divorce is finalized. If you want your divorce to allow you to effectively move past the experience, you need a lawyer who will take the time to understand your unique circumstances and help you achieve a lasting resolution that accounts for both parties’ goals. Attorney Patricia A. Kalal has negotiated equitable divorce settlements for over two decades, and she can often reach an agreement where other attorneys have given up hope of reconciliation. Contact us today to set up an initial consultation. In more complex, adversarial cases where a spouse may be hiding money from his or her partner, it can be difficult to correctly identify and value marital assets. In these cases, it is important that you have an attorney who is skilled at obtaining information from individuals who are less than forthcoming about their financial circumstances. Patricia A. Kalal’s experience in taking depositions has allowed her to uncover marital property that her clients never knew existed. 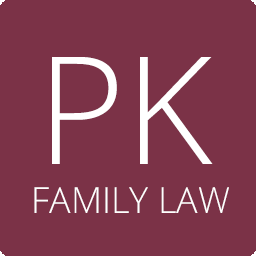 If you are concerned that you are being left out of the divorce process and want to make sure you are represented fairly, contact the Law Offices of Patricia A. Kalal. We will help you to quickly and efficiently resolve your divorce so you can get a fresh start. The Law Offices of Patricia A. Kalal provides legal counsel and representation to residents of Highland Park, Illinois, and communities such as Lake Forest, Northbrook, Glencoe, Deerfield, Libertyville, Lake Bluff, Lincolnshire, Buffalo Grove, Skokie, Waukegan, Rolling Meadows, Wheeling, Arlington Heights and the Great Lakes Naval Base. We practice primarily in Lake County and Northern Cook County.